New NRAEF research finds 34 percent want to own their own restaurant, 33 percent want to be bartenders and 31 percent would work in business operations. 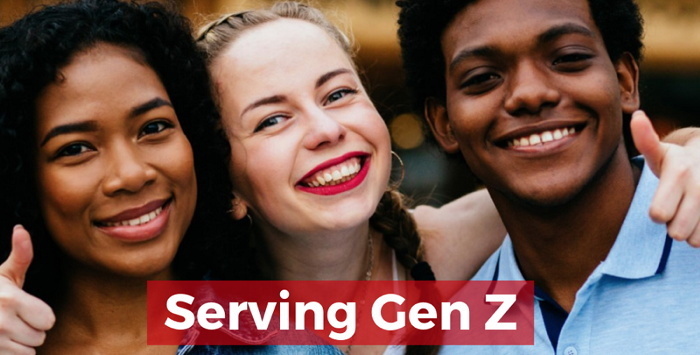 The restaurant industry is looking to Gen Z members of the workforce to fill open jobs and seek opportunities that result in successful careers. New research by the National Restaurant Associations Educational Foundation found out what they are looking for. The research, conducted in partnership with the Center for Generational Kinetics, interviewed more than 1,600 Gen Z respondents, asking them the methods they used to find jobs in the industry, what motivated them to pursue those jobs and what kinds of professional careers they hope to achieve in the future. The Associations research has found that the industry, which currently employs 15.1 million people, expects to add 1.6 million new jobs over the next 10 years. To fill those jobs, it must capitalize on this next generation of workers, who say, first and foremost, they are interested in a brands good reputation before even applying for a job. However, earning a good salary, working with good managers and receiving training could result in many of them staying. The study also found that 40 percent of Gen Z employees work in quick service and 26 percent in casual dining restaurants as crewmembers, cashiers or wait staff. But, a number of them added that they wish to expand their experience to work in fine-dining restaurants and specialty professions, like baking. What do they see as their ultimate foodservice career goals? According to the research, 34 percent said they want to own or operate their own restaurant, 33 percent said they aspire to be bartenders, and 31 percent plan careers in business operations. To learn more about Generation Z, download the full report here.